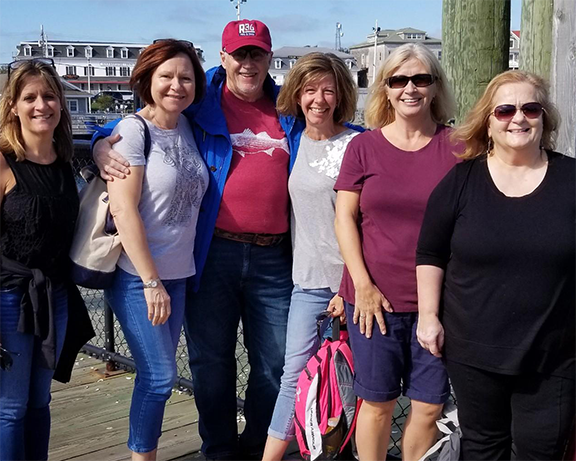 About Connecticut Insurance Exchange, Ltd.
(L-R) Linda Daniels, Melanie and Ron Tregoning, Kim Garthwait, Heather McGann, and Jackie Martin. Our mission is to provide each client with the best coverage at the best price with the best service because what's important to you is important to us. To us, you're not just a policy number. You're a real person, with real needs and feelings. We are dedicated to providing insurance the old-fashioned way — with honor, service and trust. Our licensed agents are committed to supporting you through every aspect of the insurance transaction — including accidents and claims. We've been insuring individuals, families and businesses in Greater Hartford community for over 40 years. Connecticut Insurance Exchange is a Veteran-owned, independent insurance agency. Our office is conveniently located in the heart of Newington, Connecticut. Why should you get insurance from an independent insurance agent? We recognize one size does NOT fit all. Single-company agents, 800 numbers and do-it-yourself websites have limited options and try to fit you into their policy parameters. It's take-it-or-leave-it approach. We represent more than 20 top, A+ insurance companies like Travelers, Chubb, Hanover, Metlife, and SAFECO to name a few. We have the resources that can match you with the most affordable, cost-effective insurance solution for you, your property or your business. As an independent agent, Connecticut Insurance Exchange offers a range of policies and optional endorsements to best fit your particular situation and needs at cost savings you'll love. We build lasting relationships with our clients and community. Have a question about coverage? Need to submit a claim? We’re here to help — by phone, email or face to face. To us you’re not just a policy number — you’re a real person, a valued client, and our neighbor. Connecticut Insurance Exchange has been serving the insurance needs of over 5,000 individuals, families and businesses since 1977. Ronald Tregoning, pictured here, is President of Connecticut Insurance Exchange. He is a Veteran of the United States Navy, Rotary Club Past President, and Elk's Club member. He donates a large portion of his time and treasure to veteran and military organizations, pet rescue and nonprofits that help the most vulnerable — our precious children. He adores his K9 rescue named Norma (seen throughout our website! ), is married, has two children and six grandchildren. We value community involvement by providing time and resources to many local and national organizations annually. We are proud to be an independent insurance agency and are grateful for being able to serve our clients. At Connecticut Insurance Exchange, that’s where the real value begins.